Though many people come to Cabo san Lucas to take advantage of the diverse and rugged Baja California scenery there are those who just want to relax. So if you don’t fancy the thrill of zip-lining, or the adventure of a Camel Safari you’ll be pleased to hear that you have plenty of options closer to home (so to speak). The best day out in Cabo San Lucas is one that sees you doing exactly as you please at your own pace. With that in mind here are our top 5 relaxing days out in Cabo san Lucas! – Fishing is one of the most popular activities in Cabo san Lucas partly due to the sheer number and variety of fish in the area. Fishing charters are fairly easy to obtain, too, so you don’t need to worry about stressing out in order to relax. Golf – The courses in Cabo are some of the best in the world. Golf lovers will be in heaven when they get to Cabo San Lucas; these lush, well designed, and immaculately kept courses are the ultimate playground for beginners and experts alike. Beach Days – Whether you stick to the bustling and lively beaches near the hotel zone, or go to the less developed beaches in the area you’re sure to have a great day. Lovers beach near the El Arco rock formation is particularly worth a visit. A picnic here will help you make unforgettable memories, and El Arco itself presents a great photo opportunity. Down town days – The downtown area of Cabo San Lucas is worth a visit, and though it can be busy it’s also a great place to relax. Whether you amble around the museums, relax out of the midday sun in the town square, or get a bite to eat in one of the gourmet restaurants you’ll be sure to have a great day! Snorkelling and swimming – The beaches of Cabo San Lucas are wonderful for the best day out, certainly, but you’d really be missing out if you didn’t take a dip in the crystal clear waters that they look onto. 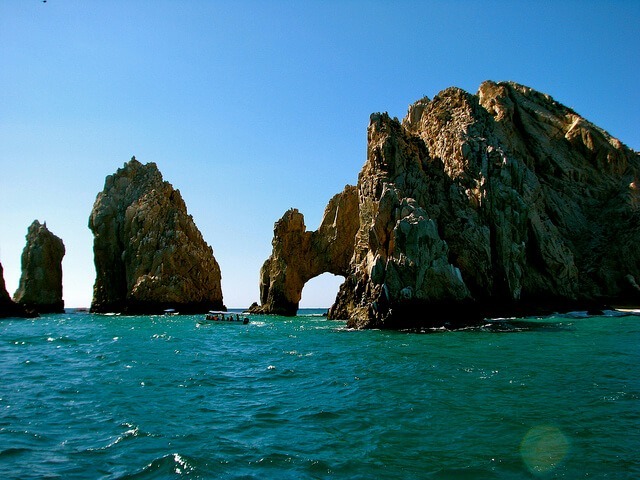 Snorkelling, swimming, and diving are some of the most popular beach pastimes in Cabo.